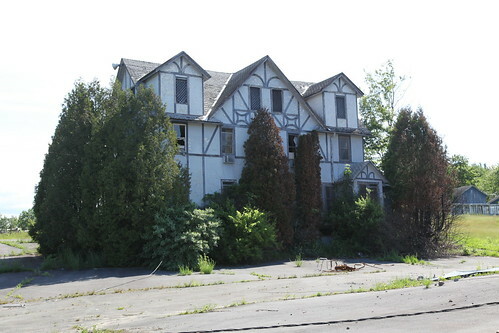 Although it escaped the fire, the Oxford Inn had already succumbed to foundation collapse years prior. It appeared that it was not the first time the foundation had given way, though. The basement of the Oxford Inn had at some point been stabilized in a makeshift fashion using stacked cinder blocks. Eventually this arrangement failed leaving dotted piles of cinder blocks inches below the joist above, serving no purpose supporting the sagging building.